Former DI AD and NCAA Basketball Committee Chair has unmatched leadership experience. He will focus on sports recruiting for coaches. As Snodgrass Partners continues to position ourselves as the leader in finding sports executive jobs, we’ve added Tom O’Connor to the leadership of our executive search firm as vice president for collegiate sports. 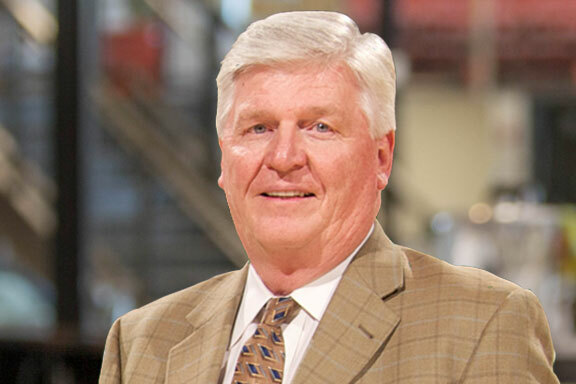 In his new role, O’Connor will use his 40+ years of expertise as a former Division I Athletic Director and chairman of the NCAA basketball committee to help the firm identify and vet top coaching talent for collegiate athletic programs. O’Connor was named the athletic director (AD) at George Mason University in late 1994, and he added the title of assistant vice president in 1999. Under Tom’s guidance, George Mason was recognized for its efforts in the area of diversity as it was one of 10 schools nationally to earn the 2008 Diversity in Athletics Award by the Laboratory for Diversity in Sport at Texas A&M University, in collaboration with the NCAA. A seasoned AD, Tom worked as athletic director at Loyola University Maryland (1976-86), at Santa Clara University (1986-92) and at St. Bonaventure University (1992-94). He was also the head basketball coach at Dartmouth College (1972-74) and at Loyola (1974-76). Tom was 25 when he became head coach at Dartmouth – making him the sixth-youngest head coach to ever take over a NCAA Division I program. Among his numerous contributions at the NCAA level, O’Connor served a five-year term on the 10-member NCAA Division I Men’s Basketball Championship Committee, serving chair from 2007 to 2008.